Torry Harris Recruitment 2019: Great opportunity for people who are looking for challenging roles in the Software Industry. Also, this is a very good chance for those candidates seeking Jobs in Bangalore. 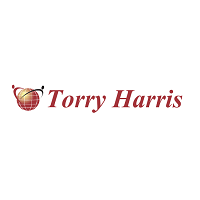 Torry Harris Recruitment is for the candidates having B.E/ B.Tech/ M.Tech/ MCA/ Any Graduate degree for the role of Associate Software Engineer – Trainee. Willing candidates should grab this information and apply for Torry Harris Jobs. As well as, the applicants can get the Online Registration from this page only. For more information, go through the entire post. Freshers are alos eligible for this role in the Torry Harris Business Solutions Pvt. Ltd.
1.2.1 How To Apply For Torry Harris Recruitment 2019? Should be a Technical Graduate with a minimum of 70% in graduation. Torry Harris Business Solutions (THBS) was founded in 1998 in New Jersey, USA. The company focuses on high-quality, niche solutions, predominantly in Integration as a means to realize Digital Transformation, API Management, Digital ecosystem creation and Enablement services. THBS provides software services to enterprise clients across different industry verticals through a combination of offshore and onsite services. The company has its development centers in Bangalore and Gurugram (India) and Operations offices in USA, UK, Ireland, France, Germany, and UAE, to serve local markets. THBS has been appraised at level 5 of the CMMI Institute’s Capability Maturity Model Integration (CMMI Level 5). The company has been assessed and certified for ISO 9001, ISO 14001, ISO 27001 & ISO 26001. THBS is also compliant with the Payment Card Industry’s Data Security Standards (PCI DSS). The technical focus, leadership, and expertise within a worldwide niche are the core of the company and have earned it the reputation of being a high-end provider. How To Apply For Torry Harris Recruitment 2019? At first, the aspirants should click on the below given link for online registration. Then, a page appears on the screen showing the details of the Associate Software Engineer – Trainee Jobs. Once, read all the requirements and check your eligibility. Then, click on the Apply now button and enter all the details such as resume upload, personal & technical details, verification code. Finally, hope the details are useful to all the aspirants. Furthermore, you can check other Job updates and latest Openings, simply by bookmarking our website Freshers Now. In case of any doubts and queries, ask us through the comment box provided below of this page.